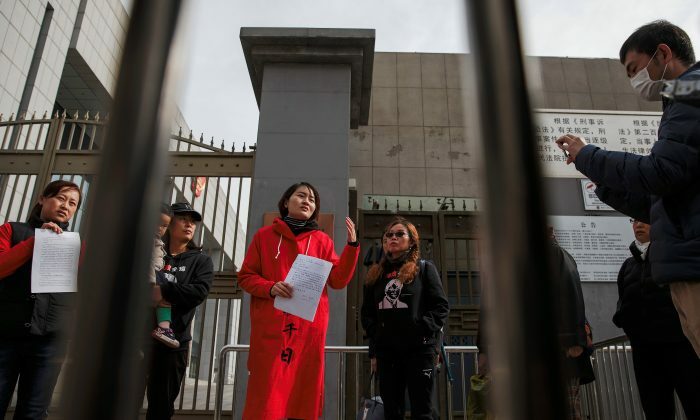 BEIJING/HONGKONG—Chinese authorities are holding the wife of a detained Chinese rights lawyer in her Beijing home after they cut short her protest march aiming to force authorities to explain his arrest, a friend said on Wednesday. “My husband has been held for over 1,000 days and I don’t know if he’s even alive or dead. I went to find my husband—what have I done wrong?” Li shouts from behind the grille of her small balcony, in a clip taken from inside the flat. “What kind of law will [let] a country detain a human rights lawyer without any obvious reason?” he asked in Hong Kong.